My close up with no reference to scale of background. 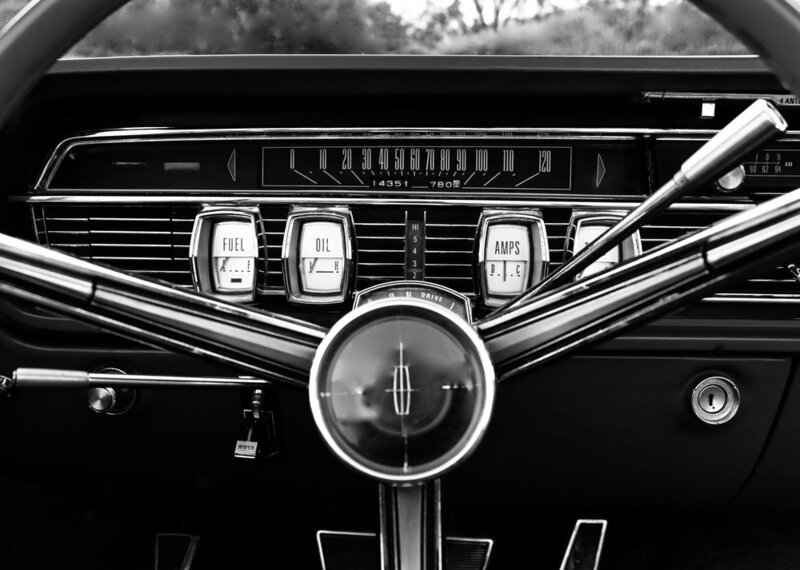 The background of an image can be an important part of your composition. Without a frame of reference the viewer has no way of understanding the scale of the subject, whether it’s people, animals or inanimate objects. I tested the idea at the Broad in downtown LA. 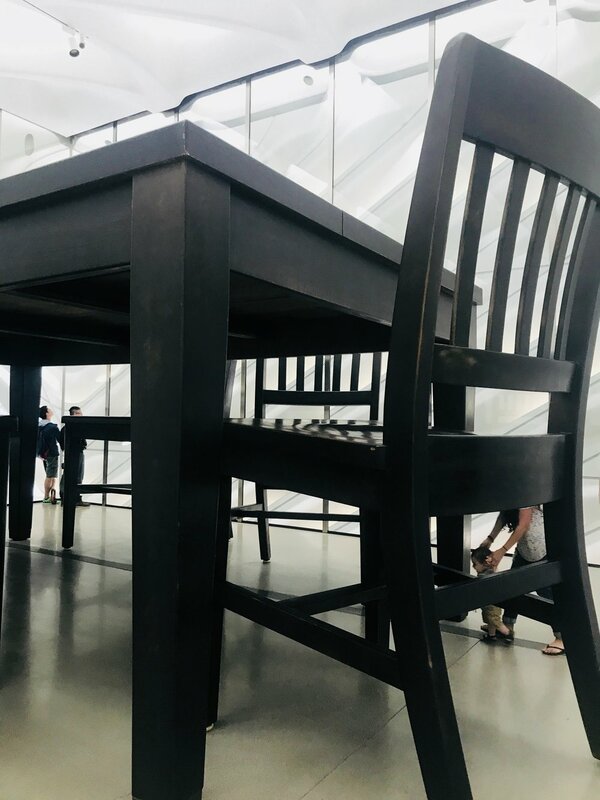 Under the Table by Robert Therrien, (1994) is a 10-feet tall table and chairs to match, an installation that was inspired by Lewis Carrol’s Alice’s Adventures in Wonderland. 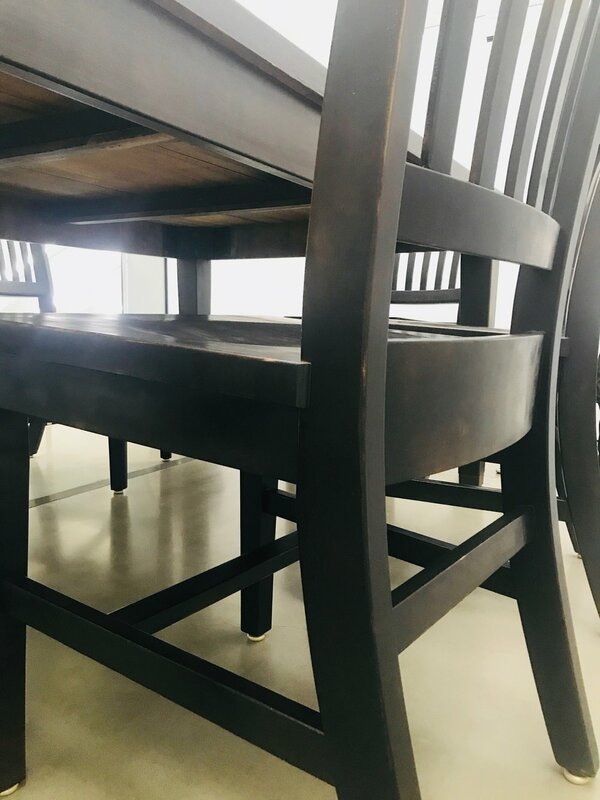 As I focused close-up on the side of the chair you couldn’t tell if the chair and table were 32 inches high or 10 feet tall because there was no frame of reference in the background (image above). The viewer looked at simple white walls and artifical light falling around the table. I stood in the same place, zoomed out to 17mm and took another shot. By showing more of the room the table suddenly changed to become more interesting, which was Therrien’s intent of the project. To me it illustrates the importance of perspective when it comes to the overall composition (mostly important in landscape photography or interiors). Of course this is all silly nonsense and fun. But it’s amusing how little changes to the photographer’s perspective creates a whole new image. As I pulled back to reveal more of the room the table and chair suddenly grows in scale. Note the mother and child on the right walking under the chair.